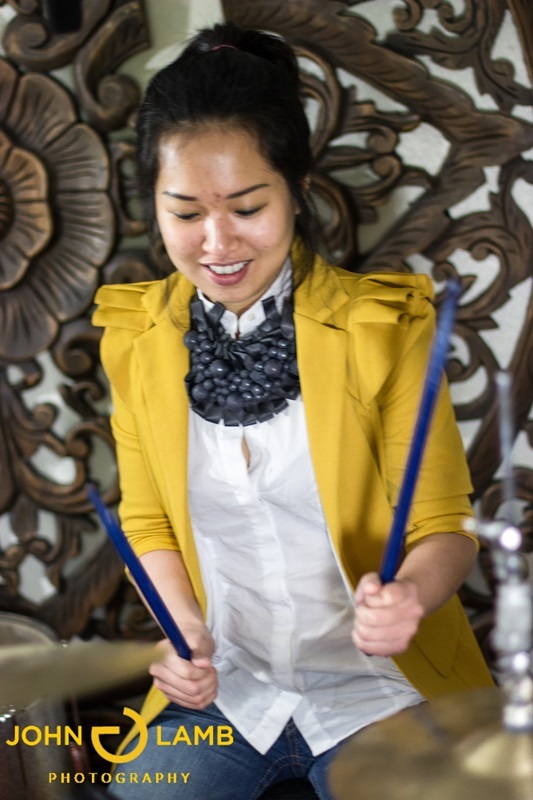 There are countless reasons to take drum lessons. The drums are the heartbeat of the band, and rhythm is an integral part of music that cannot be removed. Learning to play the drums gives you a lifelong hobby and an outlet for emotion and creative expression. general intelligence (Gosta-Gioma 1999, Bilhartz 2000, Foregard 2008, Schellenberg 2004, Hetland 2000, Schellenberg 2000, Foregard 2008). More recently, research suggests that playing music reduces stress, lowers heart rate, improves breathing, and lowers social aggression. Research at Columbia University shows that music students are more cooperative with teachers and peers, more self-confident and better able to express their ideas. Playing music also increases brain size, such that the changes are visible to the naked eye. That means that if you lined up 10 brains you could spot which ones were musicians and which weren’t. No other activity – not art, medicine, science nor sports does this. The results are clear, but the reasons are not. Why do music lessons improve nearly every aspect of how we use our brains? Debate rages about this in the scientific community, but in my opinion the answer is clear. Rather than learning to use an instrument we learn to use ourselves. The actual operation of a musical instrument is really pretty simple. You hit a drum, you pluck guitar strings, you depress levers on a piano. It is so physically easy that even 6 year olds can achieve a very high level of proficiency. If it was physically difficult, like weight lifting or basketball, then they could not reach those levels. Playing them in the right order at the right timing can be daunting, but the challenge has little to do with the instrument. It is waiting to be brought to life by us. This requires body and soul, and this is why we see improvements in body and soul through learning to play.